The Westclock Big Ben Alarm Clock is an updated interpretation of the traditional Big Ben designs and is sure to become a classic itself. This alarm clock has a classic white face, gold numbers and almond hands. 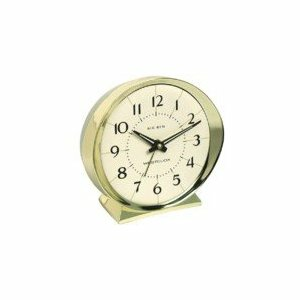 This alarm clock is built meeting all of the strict manufacturing and material requirements customers have come to expect. Authentic 1964 Big Ben design. Separate metal keys for winding time and alarm - no electricity needed. Durable construction including metal bezel hands and base. Loud bell alarm sound. Luminous hands for night viewing.